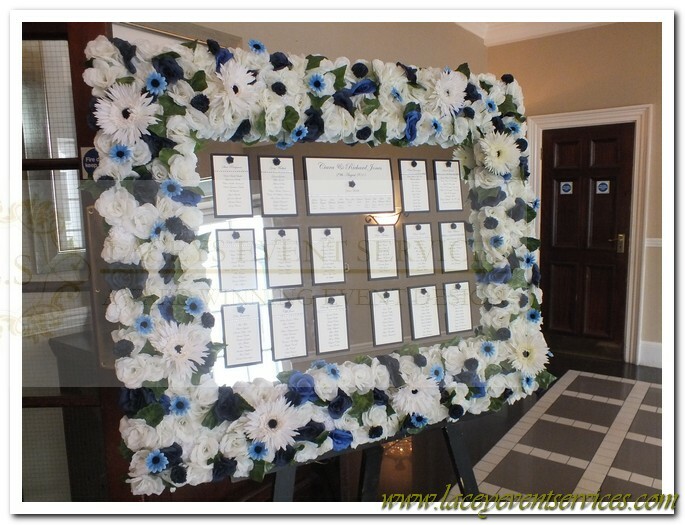 Our extremely popular artificial flower frames are available in various selections to purchase or hire. 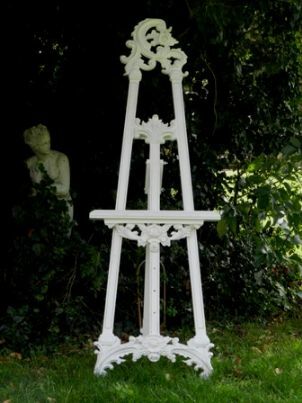 Standing at 161cm tall an excellent quality and sturdy White Wooden Easel, ideal for larger table plans with framed and mirror mounts. Hire one of our ornate French vintage style mirror mounts for your table plan. It sits perfectly on our white ornate easel and is large enough to fit up to 30 tables for your seating plan. 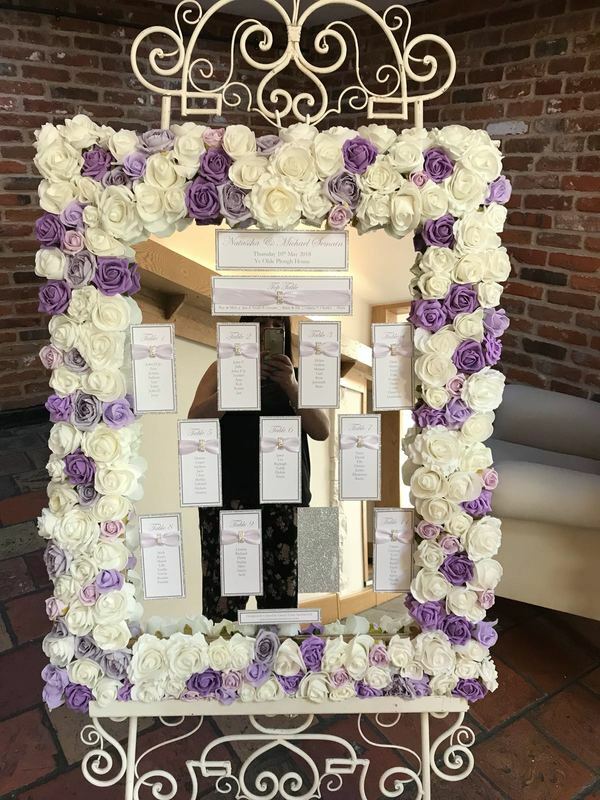 Price does not include Easel stand, this can be hired separately. 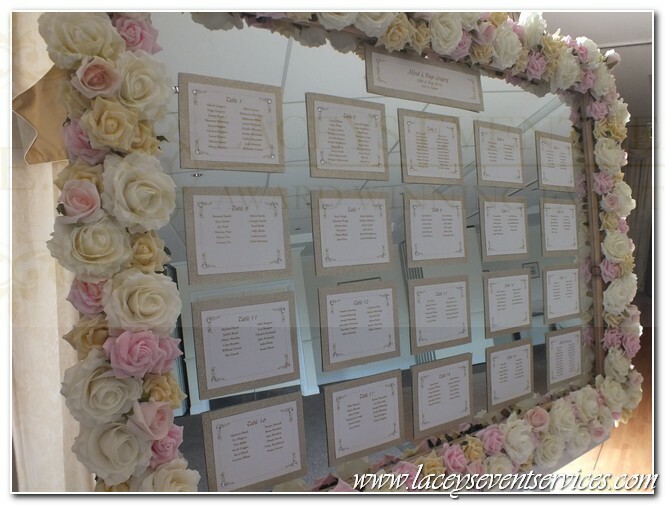 Hire our French ornate style Back mirror mount for your table plan! 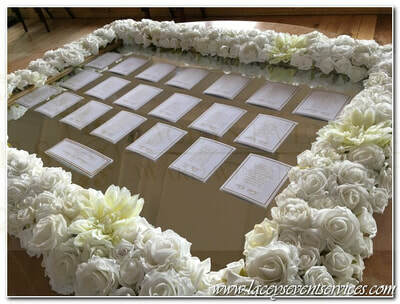 It sits perfectly on one of our ornate easels and is large enough to fit up to 15 tables for your seating plan. 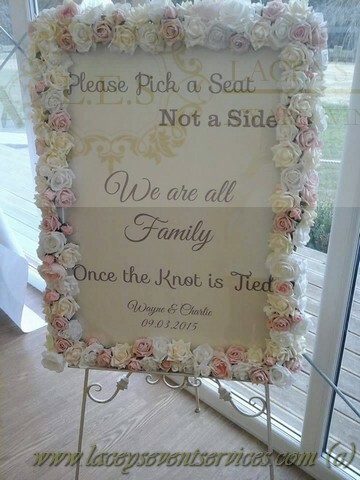 Price does not include Easel stand, this can be hired separately. 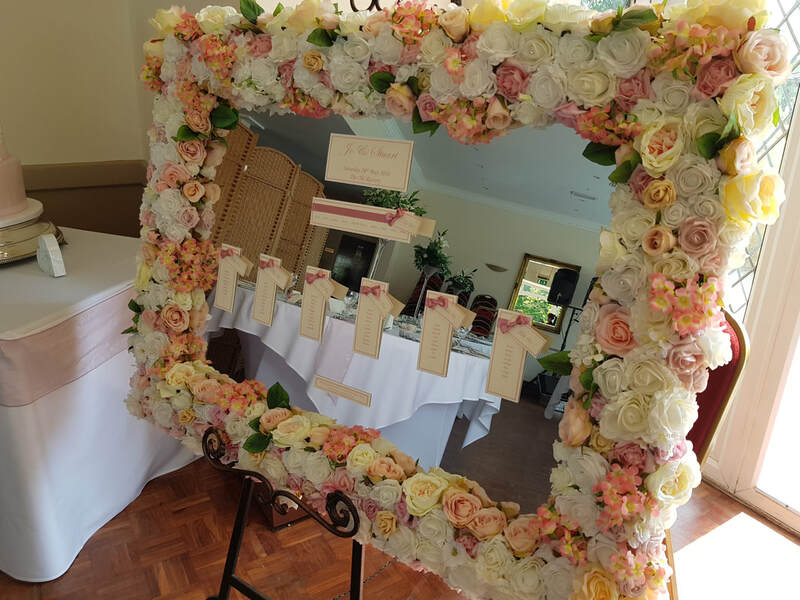 Our beautiful Vintage Gold Framed Mirror is great to hire for your table plan! 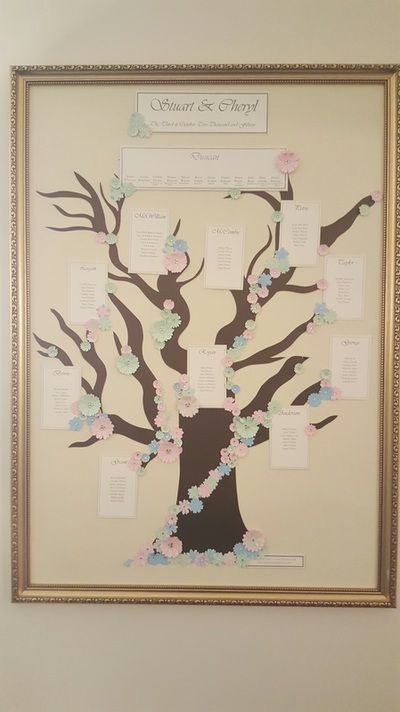 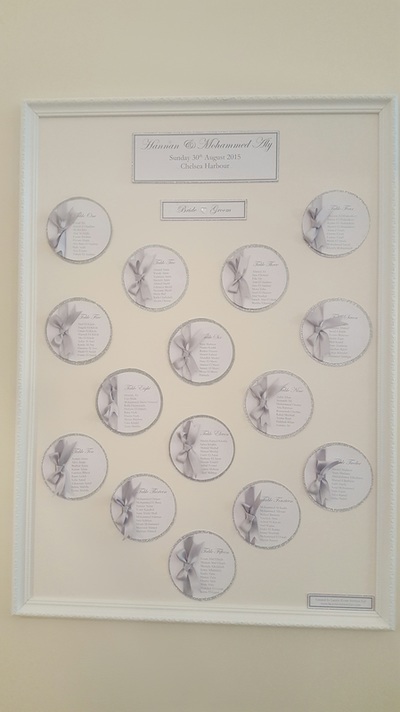 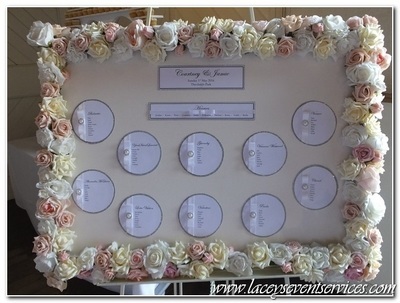 This can hold between 20 and 30 table plan plaques depending on the design selected. 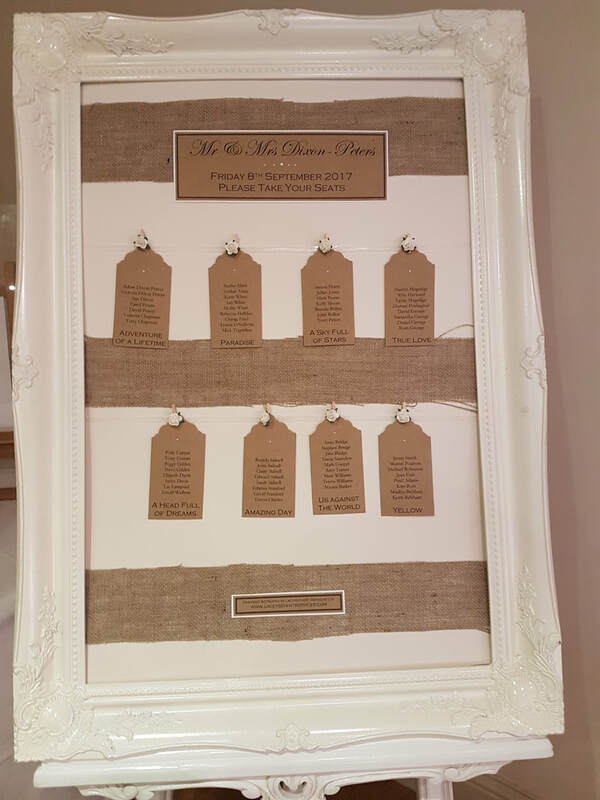 Hire our French vintage style frames, perfect to adorn your table plan or for prop hire with a corporate project or event! 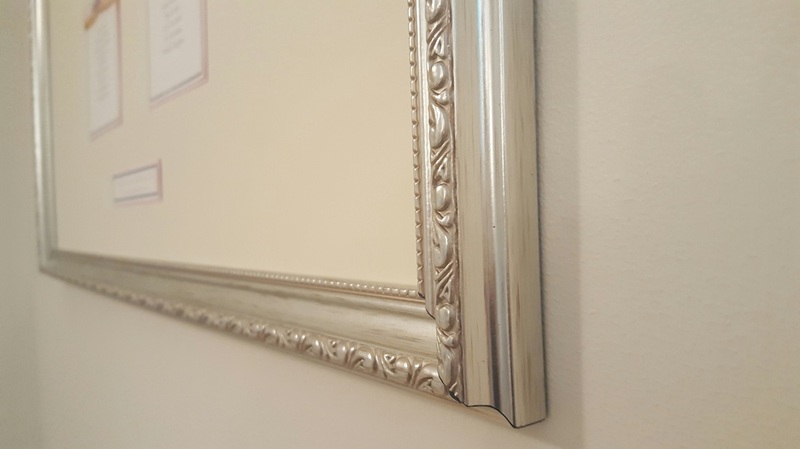 This is for a Frame only and does not include mirror, glass, backboard or stand. 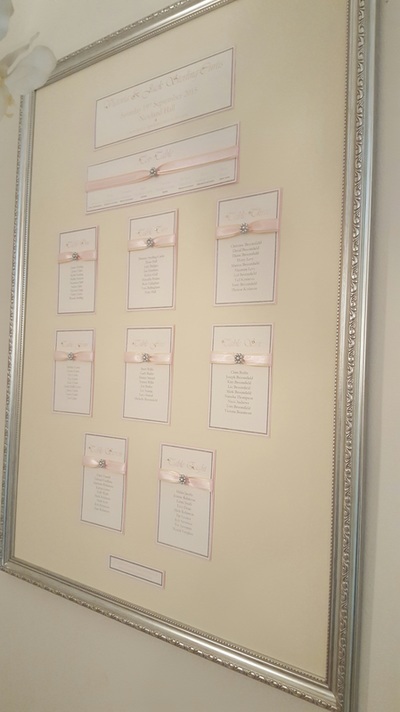 Beautiful A1 Frames available in white, silver or gold to frame a table plan or poster. Includes A1 Frame and backboard ~ No glass is included with this frame. 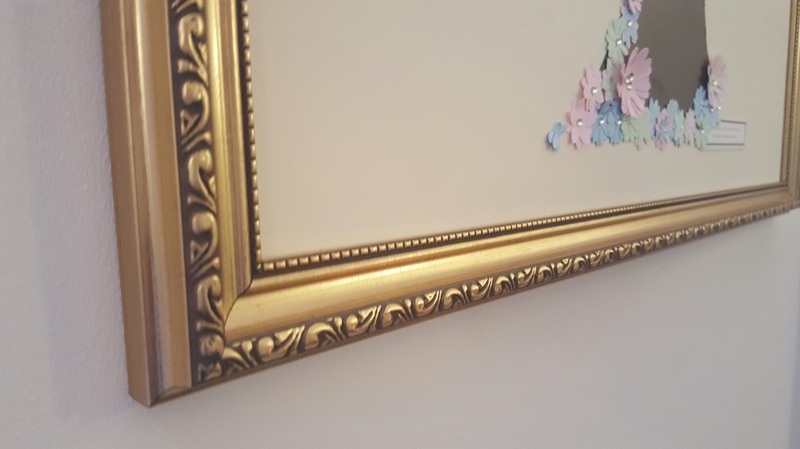 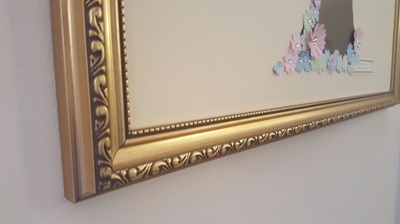 We have medium sized gold ornate frames to match our range and these are perfect for signage around the room including Candy Buffets, Gift Signs, Flip Flop Notices, Memory Tables and Cigar Bars amongst many! 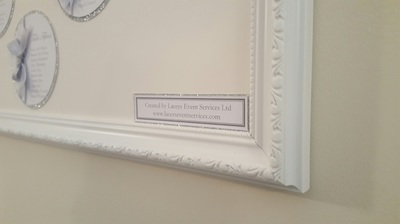 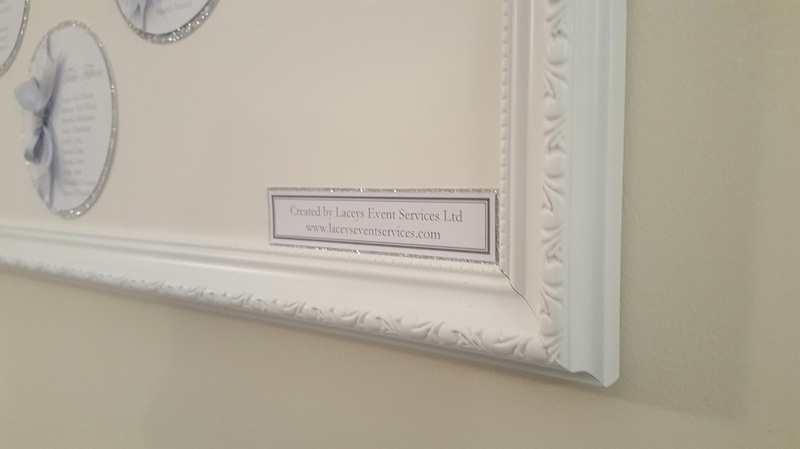 We have medium sized white ornate frame hire to match our range and these are perfect for signage around the room including Candy Buffets, Gift Signs, Flip Flop Notices, Memory Tables and Cigar Bars amongst many! 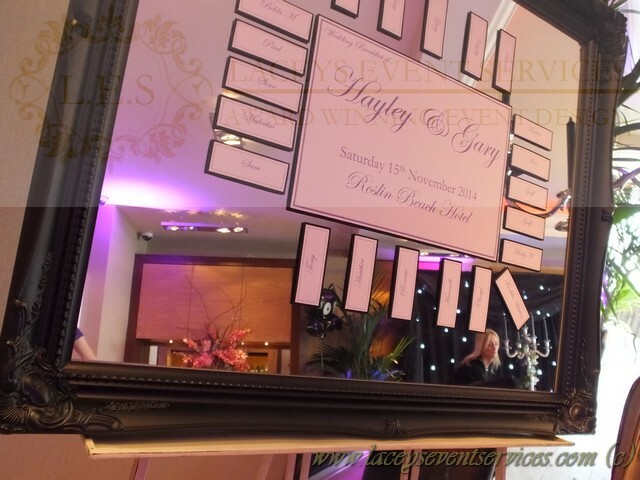 Our beautiful small ornate frames are perfect for Table names, table numbers and Memory plaques. Our small white ornate frames with back board and glass are perfect for Table Names and Table numbers to be displaysed on your wedding guest tables. 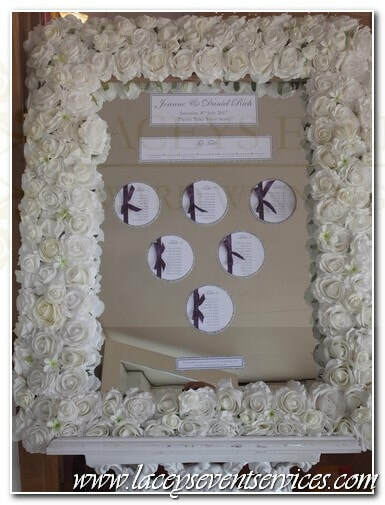 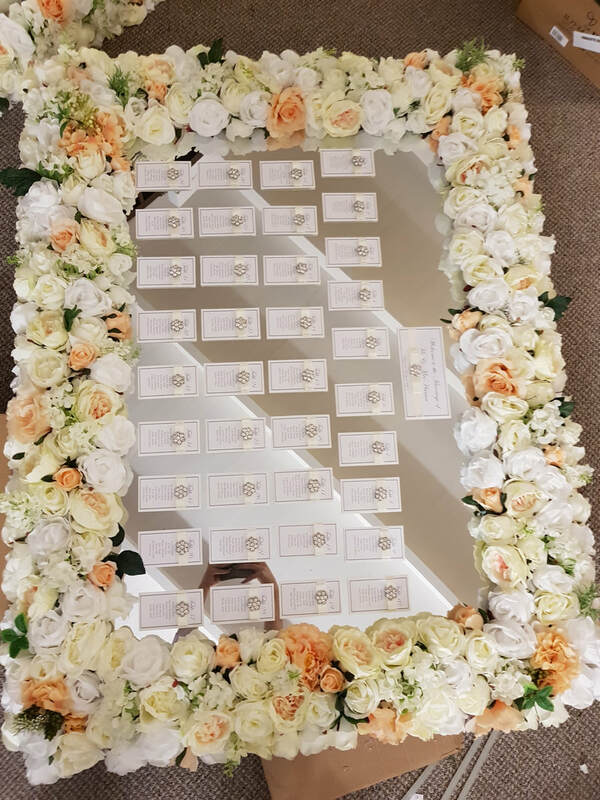 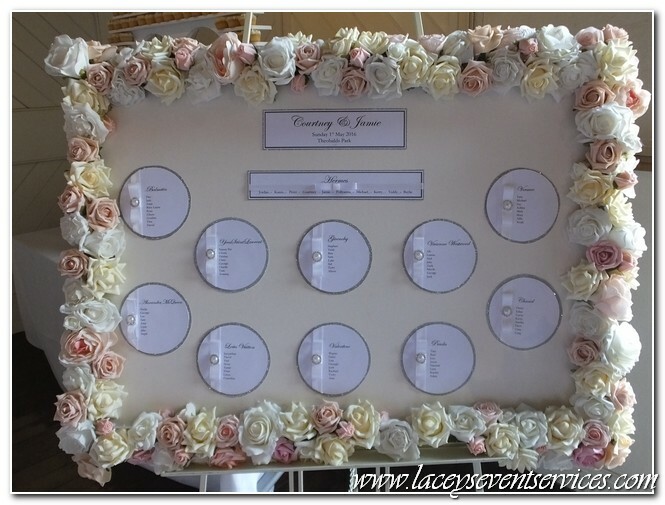 WEDDING FLOWER FRAME HIRE, FLOWER FRAME TABLE PLAN WEDDING, FLOWER FRAME MIRROR HIRE, ORNATE MIRROR HIRE, FRAME HIRE WEDDING, SMALL FRAME HIRE, TABLE NUMBER FRAME HIRE WEDDING, GOLD FRAME HIRE, WHITE FRAME RENTAL, BLACK FRAME RENTAL, IVORY LOUIS FRAME HIRE, ESSEX FLOWER FRAMES, LONDON FLOWER FRAME TABLE PLAN RENTAL.